Mary Moser was playing Pong, the video game, on Dec. 8, 1980, in Stage One with Bono, the singer in the Irish rock band U2, when someone walked up to them and said that John Lennon had just been shot. There was a very sparse crowd in the club for what was U2’s first Buffalo area show, opening for the local band Talas. Bigger venues and worldwide fame came later, but Bono never forgot that night or Ms. Moser. He has told the story from the stage every time U2 has come to town. 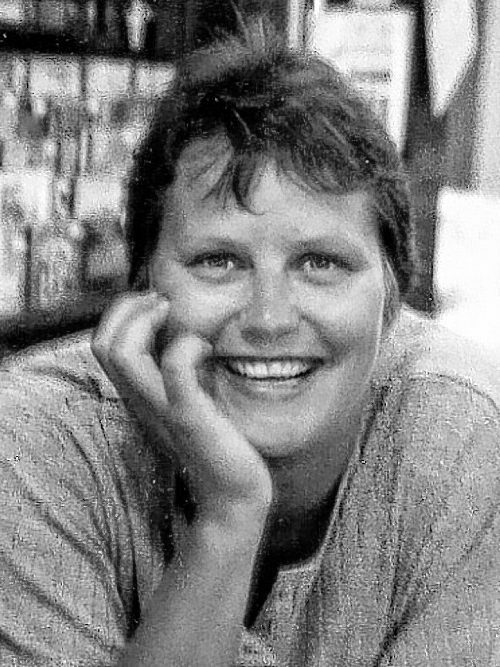 As a clerk at the record store Home of the Hits on Elmwood Avenue, she was at the heart of the city’s lively alternative rock scene in the late 1970s and early 1980s. One of the groups she loved was U2, having been introduced to their first album, “Boy,” by local independent record promoter Bruce Moser. They were married in 1983. Bono was among the many people who sent condolences after she died March 24 in Terrace View Long-Term Care Facility. She was 62. Mary Frances Martin was a 1974 graduate of Kenmore West High School, where she hung out with a group of musicians and fans that included Mark Freeland, Kent Weber and Mark Weinstein, who went on to found Amoeba Records, one of the nation’s major independent record stores, in Berkeley, Calif.
A regular in the music clubs, she soon found a job selling records at a store called Play It Again Sam near the Buffalo State College campus, which later became Home of the Hits. One of them was Bud Redding, keyboardist and vocalist for experimental rock band Cowboys of Scotland. She also championed U2. She encouraged people to buy the “Boy” album and told them that if they didn’t like it, they could bring it back and she would refund their money. Legend has it that nobody did. She continued part time at the store for a while after she became a mother in 1984, but then turned her focus to her daughters, Erin and Grace. Accompanying her husband to concerts with bands he promoted, she befriended many of them. “They probably liked her more than they liked me,” he said. When she returned to work, she became a day care assistant at the Family Help Center. Then, in 2013, she suffered an embolism and fell, resulting in an even more serious brain injury. A benefit to help with her medical expenses at the Town Ballroom in 2014 drew 1,000 people and a lineup of 18 musical artists that included Gord Downie from Tragically Hip, one of the bands that her husband promoted. In addition to her husband and daughters, survivors include a sister, Dawn Kugel; and three brothers, Harry, Donald Jr. and Daniel. A celebration of her life will be held May 11 in the Town Ballroom, 681 Main St.